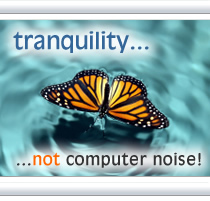 AcoustiPack LITE kits are manufactured and supplied direct exclusively by Quiet PC LLP, telephone +44 (0)1653 668000. 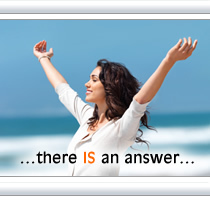 Where can I buy the AcoustiPack ULTIMATE soundproofing materials kit? 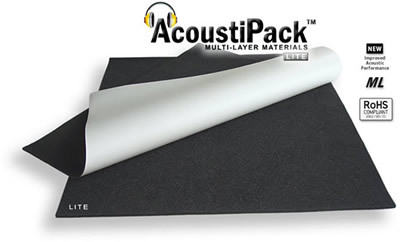 AcoustiPack LITE is a cost-effective multi-layer soundproofing materials kit for standard size and small computer cases, including HTPCs and SFF cases. 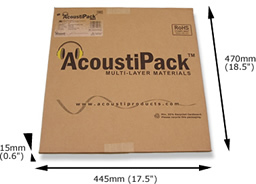 Each pack contains 2 large sheets of sound-proofing materials using our unique 4mm (2-layer) acoustic composite. This material is ideal for fitting within the narrow confines of modern enclosures yet it has superb noise reduction capabilities. See technical details of our materials. The AcoustiPack product range has been designed to be shipped to the end-customer without the need for extra packaging. The individual product packaging is not printed on one side, and is strong enough to withstand normal handling during transit. The cardboard has a min recycled content of 35%. Please take care to read the installation recommendations before installing this product. These materials are installed at the installer's own risk. You may also like to consider adding AcoustiPack EXTRA Foam Blocks (APExtB) to this kit. This will increase the internal surface area of the acoustic materials, and help to absorb extra acoustic energy inside the PC or server case. More details. If you require an extra sheet of 3-layer 7mm materials, then you may like to order AcoustiPack EXTRA Sheet (APExtS). More details. NOTE: If you think you'll need more materials than in the LITE pack, and you have the space inside your PC enclosure for a 7mm sheet, then AcoustiPack ULTIMATE is a more suitable product. 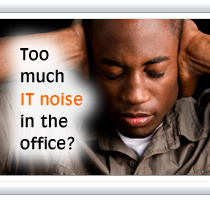 An alternative pack if you have a larger PC case would be AcoustiPack ULTIMATE (APU) incorporating new 3-layered materials for the ultimate in noise reduction.